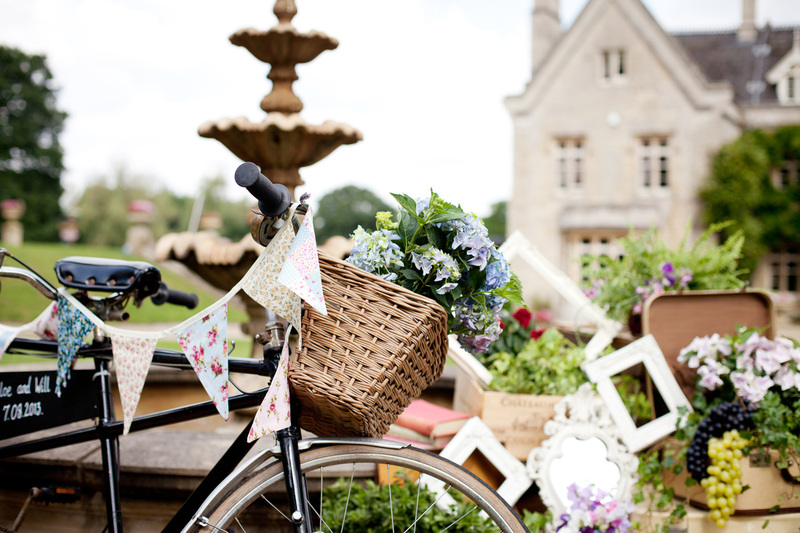 Our beautiful 1950's Tandem Bike 'Daisy' has graced many weddings and fashion shoots. Daisy is often hired as a prop for background decoration, she looks lovely with her baskets over flowing with flowers or confetti cones for Vintage themed weddings or have your photos taken on her for a quirky shot. 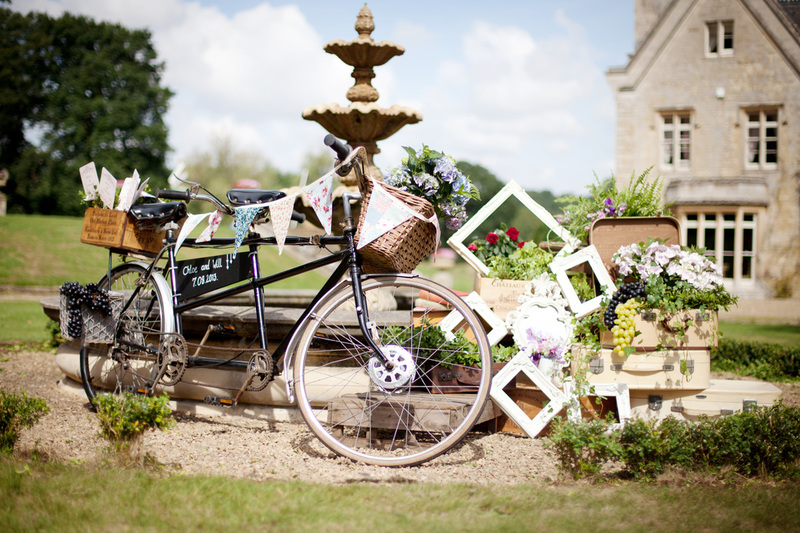 She is in perfect condition pictured here with front basket, rear wooden crate, blackboard inset and bunting (all bar the bunting included in the hire, although we do have 100's of meters of bunting available to hire). 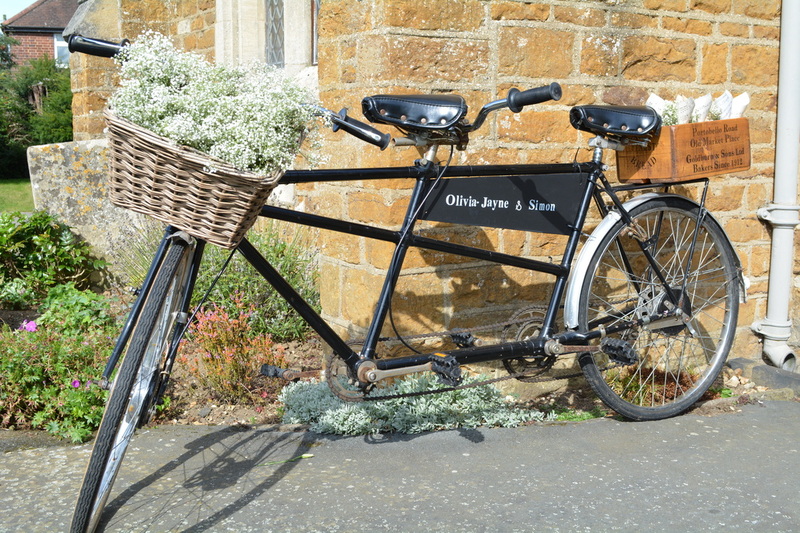 Genuine 1930's Single bike with curved handle bars, large blackboard insert and original front basket fitted with original lamp (all included in the hire). 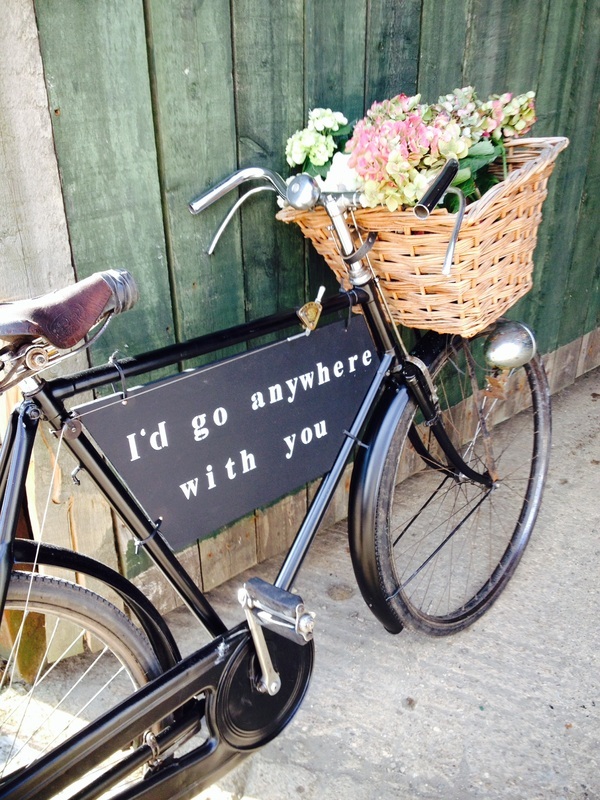 This is a fantastic lovingly restored piece and looks great as a prop for your wedding. 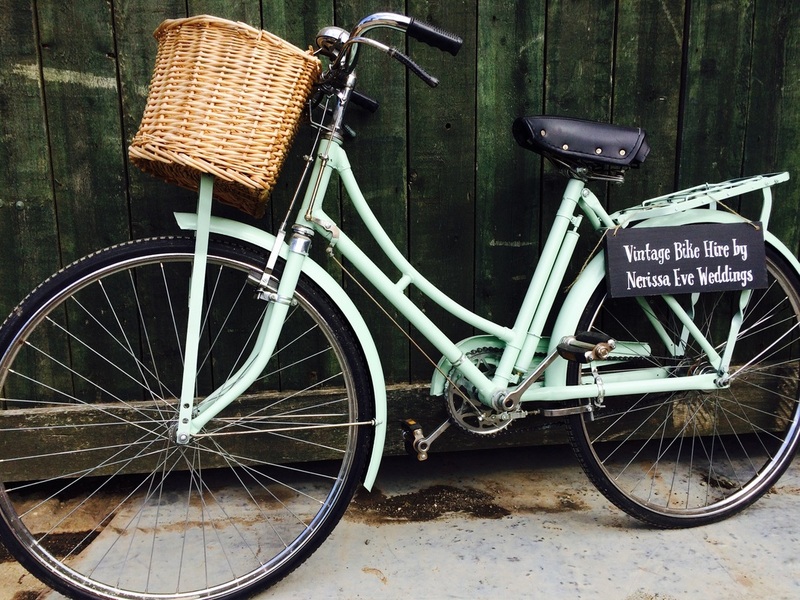 And pastel green vintage bike with rod brakes, curved handlebar and front basket. 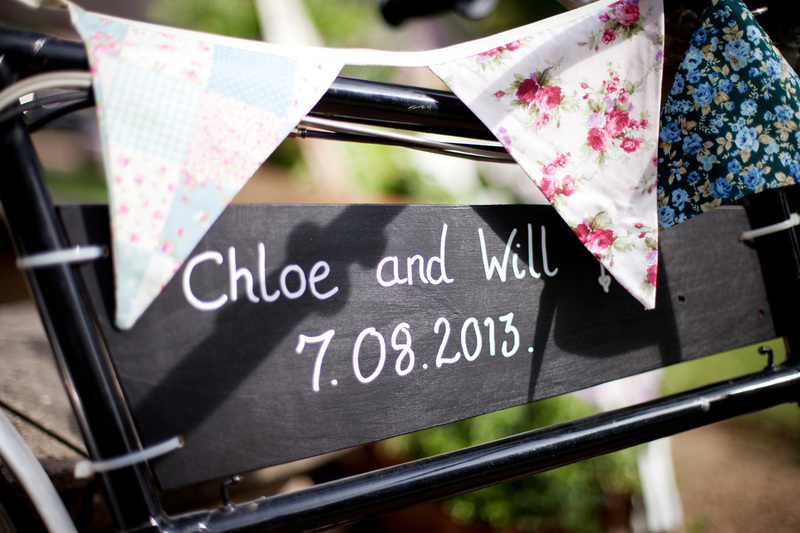 This bike also has the option of a chalk board in the frame and the hire price includes hand written names, date and message on the board. 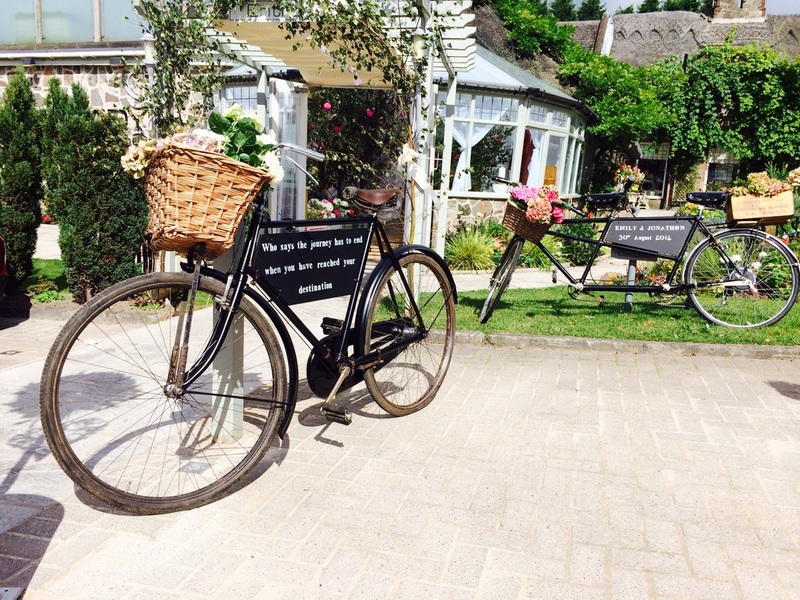 As with many of our props we hire them for 1-4 days to try and help you organise your day. We are happy for you to collect and return our bikes to us, there is no charge for collection. If you prefer to have the bike delivered please add your postcode to the contact us form and we will get back to you with a quote for delivery. 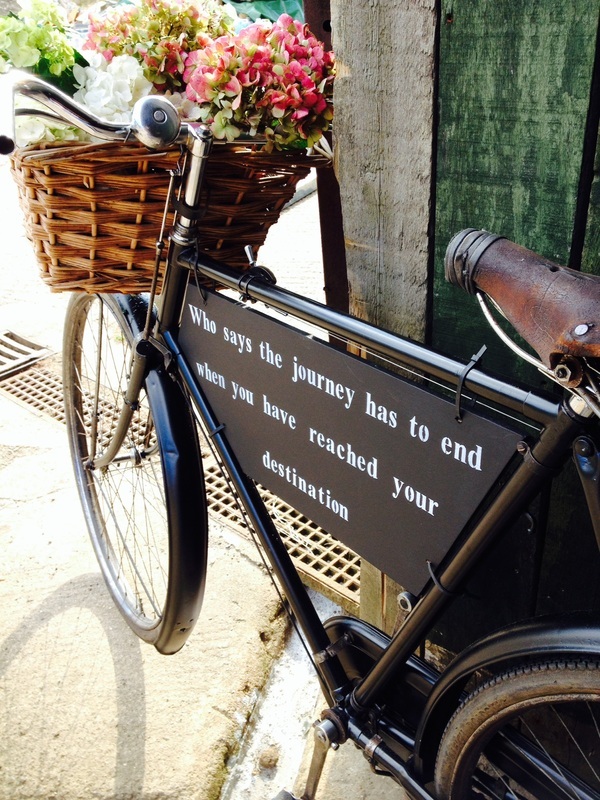 We have been known to deliver our bikes quite far! so if you are unsure its always best to ask. If you are collecting a bike please note that you will not be able to take it if your vehicle isn't a suitable size. The tandem bike will not fit into an estate car you will need a van to transport it as it is 2 meters long and we prefer the bikes to be transported upright as lying them down in the back of a car damages the paintwork and bends the mud guards. Please check first that your vehicle is suitable to avoid disappointment. Due to the age of our bikes we prefer for them not to be ridden. Black single bike: Basket measures 39cm across (left to right), 28cm width (handle bars to front of basket) and 25cm deep. It narrows at the bottom of the basket to 29cm x 16cm. The bike has a stand so it is able to be freestanding. 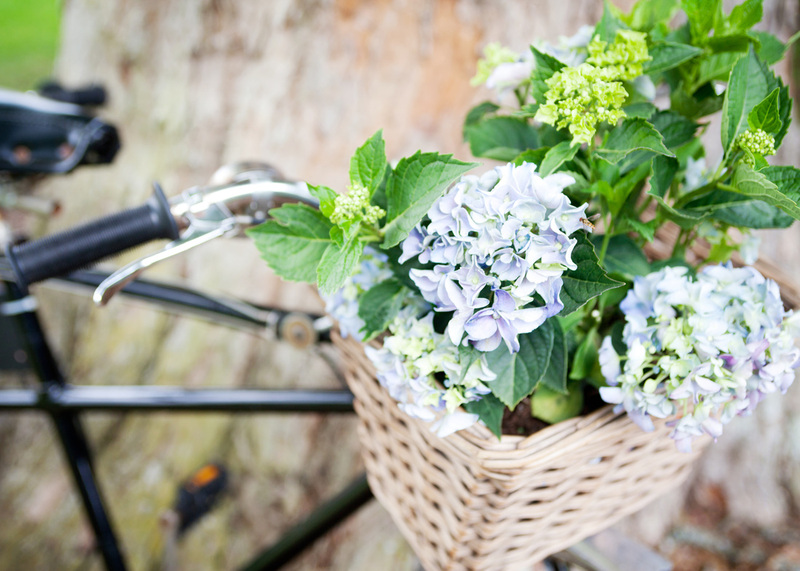 Pastel green single bike: Basket measures 35cm across (left to right), 24cm width (handle bars to front of basket) and 20cm deep. Please note this basket is rounded at the front (see pictures). We are based in Market Harborough, items can be collected from us or we can quote for delivery. Delivery and collection is charged at £20 within a 20 mile radius and 65p per mile thereafter. 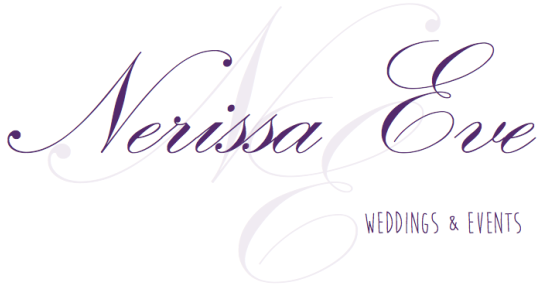 Please contact us with your list of items and we will email you a quote for delivery. Many items are very popular so try to book as early as possible. Fill in a contact us form and we will be in touch shortly to confirm details.